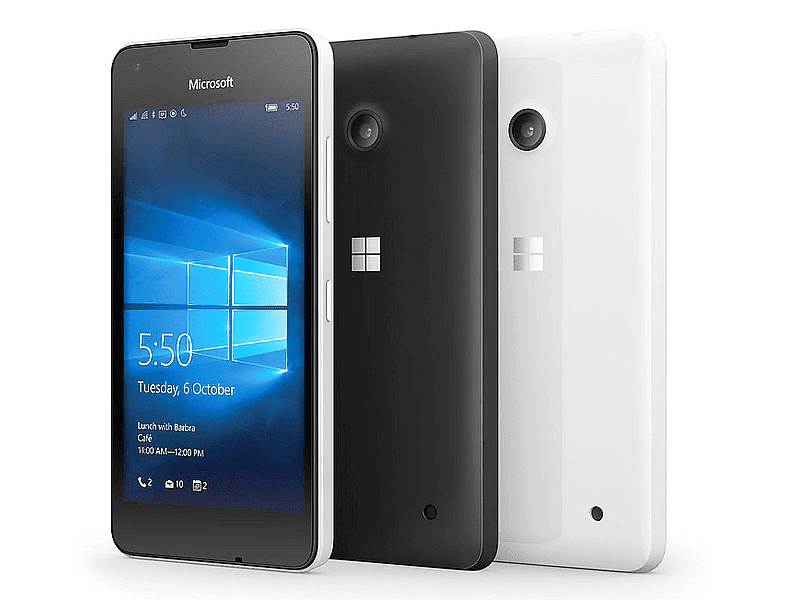 Microsoft Lumia 550 Also Launched, The Budget AMOLED LTE Windows 10 Phone! Home / lumia 550 / lumia 550 price / microsoft / microsoft lumia 550 specs / mobile / news / windows 10 / Microsoft Lumia 550 Also Launched, The Budget AMOLED LTE Windows 10 Phone! Yesterday, a part of Microsoft's spectacular show was the announcement of their latest smartphone to cater the budget conscious public, the Lumia 550. The Lumia 550 has a 4.7 inch HD AMOLED screen, will be powered by 1.2 GHz Snapdragon 210 processor paired with 1 GB RAM and Adreno 304 GPU, features an 8 GB internal storage that's expandable up to a 200 GB, 5 MP rear camera, 2 MP selfie camera, 2,100 mAh of power and LTE connectivity. That makes the Microsoft Lumia 550 one of the interesting Windows phone that retails at just USD 139 (6,398.17 Pesos). We'll keep an eye for further announcements.